For some time now I’ve been working with a group of Minecrafters to raise money for the American Foundation for Suicide Prevention. So far we’ve raised over $3,400 dollars toward our year end goal of $3,650, so I’m writing to ask your help toward our goal. Anything you could give at http://tinyurl.com/MCStopSuicide would be appreciated to help out this worthy charity. What? Minecraft? Robert, you’re telling me you play Minecraft? OK, I have a confession to make. I LOVE Minecraft. I don’t know why, I just find it relaxing, and it lets me be creative in ways outside what I normally do. I blame my kids, they got me hooked. I also have to blame Marc over at Adults Only Minecraft (https://www.youtube.com/channel/UC4qYM4ZIwaEKg0Ti0ah-OJA). When my kids first got me to play Minecraft I thought “eh, that’s cute” but it didn’t really grab me. Then I found the Adults Only Minecraft channel. It showed me all the cool, creative things that could be done, and I was hooked. If you are wondering about the name, Marc used to play on some servers that hosted a bunch of kids who that thought it was great fun to “prank” others by blowing up or otherwise destroying their creations. Marc decided to make an environment for “adults only”, where grown ups would respect each others builds, and work together on creative, interesting projects. I guess it didn’t occur to him at the time that “adults only” might be misconstrued, but I can assure you it’s a very family friendly channel. I became a follower of the channel, and began joining his live streams on a regular basis (each Wed night at 9pm Eastern). Each week Marc and a group of intrepid Minecrafters participate in a live stream to participate in some building activity. While they stream there is an active chat room that talks about the build, or whatever comes to mind (no politics or naughty language though, to keep it friendly). Eventually I was honored to be asked to join as a chat room moderator. Since then I’ve gotten to know the group that plays each week, and learned what a wonderful group of people they are both on and off stream. So I’m writing this to make an appeal. Marc has been working to raise money with his live streams for the American Foundation for Suicide Prevention. So far, Marc has raised over $3,400 dollars toward his year end goal of $3,650. The holiday season is a happy time for many, but sadly this time of year also sees an increase in suicides. It seems an appropriate time of year to help the American Foundation for Suicide Prevention help those who suffer from thoughts of suicide at this time of year. No amount is too small, if even a third of my twitter followers would donate one dollar we could blow the lid off the current donation levels. I hope you can help out during this holiday season, by using the link below to make a donation. Thanks! I purchased a new laptop earlier this year, a pretty sweet Lenovo ThinkPad. 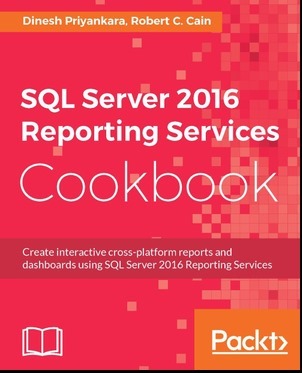 The only thing that annoyed me was PowerPoint 2016 wouldn’t show the presenter view. Well I finally got around to tracking down the issue. I found a post in an MSDN forum that was close, but not quite right in the instructions. In fairness the answer was several years old so the interface likely changed in that time. The issue relates back to the NVIDIA driver. I did see some posts suggesting you uninstall the NVIDIA driver and roll back to an older version, but I didn’t find it necessary to do anything that drastic. Solving it was just a few simple steps. First, if you have PowerPoint open, you should close it. 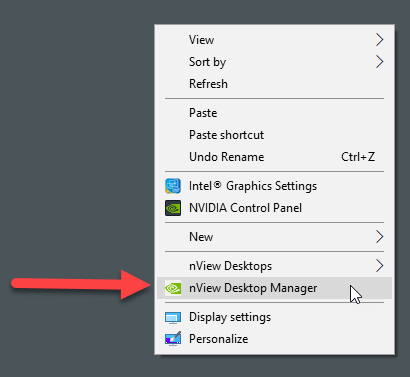 Now, right click on your desktop, then select nView Desktop Manager. 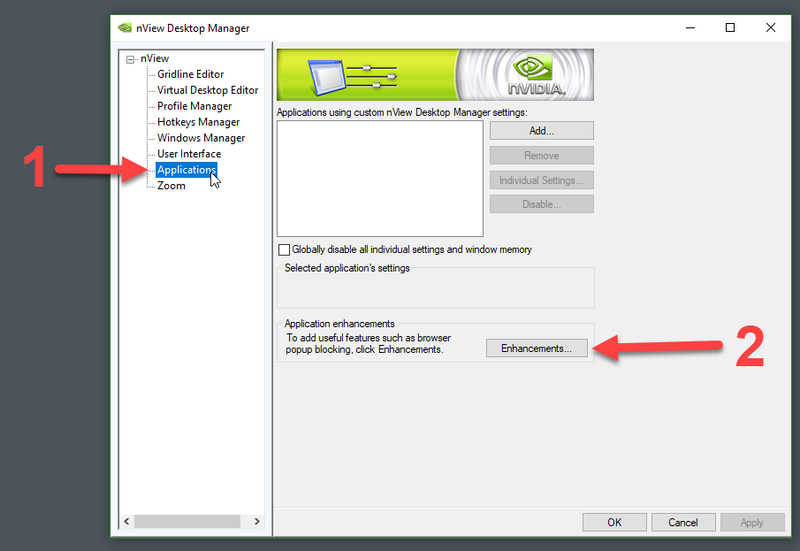 If you don’t see this option, then the this solution won’t solve your issue as you either don’t have an NVIDIA card, or don’t have the right NVIDIA software installed. Next, click on Applications, on the left in the tree view (1). Then, click the Enhancements button in the lower right (2). Finally, uncheck the box beside “Add PowerPoint slide show extensions”. 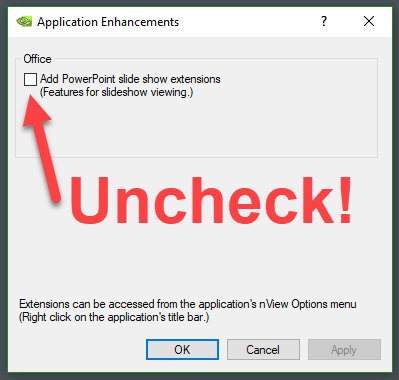 Click OK to close the Application Enhancements window, then OK again to close the nView Desktop Manager window. And that should be it, open PowerPoint, start your slide show, and the presenter view should now appear for you (don’t forget to check Presenter View on in the Slide Show options tab before you start the show). Note that I’ve only tried this with PowerPoint 2016, although I’m guessing it would likely work with older versions of PowerPoint as well (if it does, leave a comment letting everyone know what version of PowerPoint you were using). Hopefully this solution will work for you too!